This group has been established for ten years and has been funded, in that time, by other charity groups, who have realised the work that was being undertaken, was for the best interest of the immigrant society of which Birmingham has a high level. 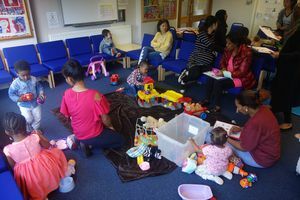 The group works in some of the most deprived areas of Britain and has worked tirelessly to establish a learning society that benefits both parents and children. 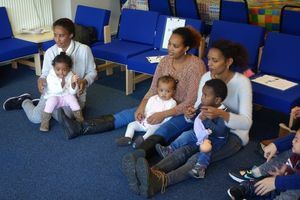 The work undertaken ensures children start school with an understanding of English and that parents can communicate with teachers, doctors and other people that they meet through their lives. The group is overseen by Birmingham Churches Together Trustees and the Training Management Committee. The Co-ordinator supervises two tutors, who do the weekly classes at various venues in Nechells, Saltley and Small Heath. Family Learning helps parents and wider family members to be actively involved in their children’s learning, as well as to become learners. Both elements are crucial in building resilience in families, in creating community well-being, and in developing economic prosperity and social cohesion. Family Learning takes an inter-generational approach to raising aspirations and to creating long-term changes in patterns of learning - and to inherited cultural approaches to it. 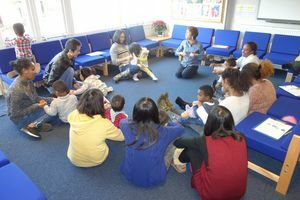 Family Learning can therefore support and extend work already being done in schools to increase parental and family involvement, for the enhancement of children’s learning. The group is grateful for all donations towards our work and our staff provide the most professional service possible. Our aim is to enable parents to be supportive of their families and have confidence in dealing with all of their aspects of lives. During the time of the group being formed we have seen many obtain their British Citizenship and even more enabled to undertaking working in the community. For more information about our work, how to pray for us, donate or how to get involved please contact us. We'd love to hear from you.